#TFOB2017 will bring sweet, sweet beer and an amazing roster of entertainment to the much anticipated summer event at Exhibition Place. Joining the musical lineup is the 4-man rock band Sloan, a Juno award winning group that will take the stage as headliners on Saturday, July 29. The band has been together for 25 years and recently been named as one of the top five bands in Canada by a CBC critics poll. 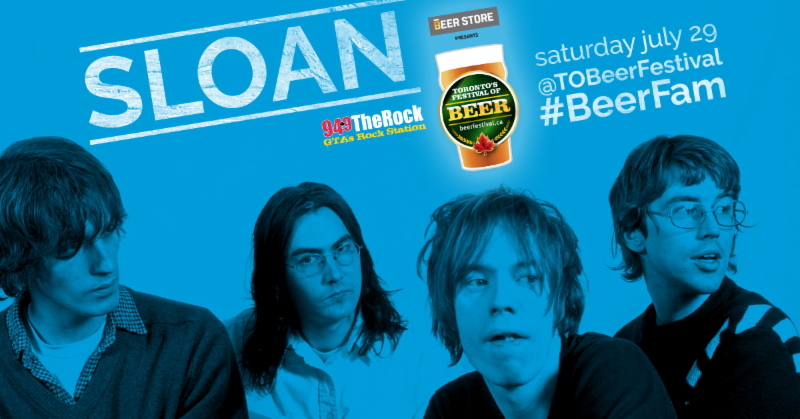 "We are very excited to have Sloan play TFOB 2017," said Les Murray, President of Toronto's Festival of Beer, "The Saturday of the festival has always been the most talked about day of that weekend because the atmosphere can't be compared to anything else and this year is gearing up to be another big one. It's a day and performance that you won't want to miss!" Once again Bandshell Park will host the festivities from July 28-30 and it will be even more special this year with a celebration of Canada's 150th birthday. 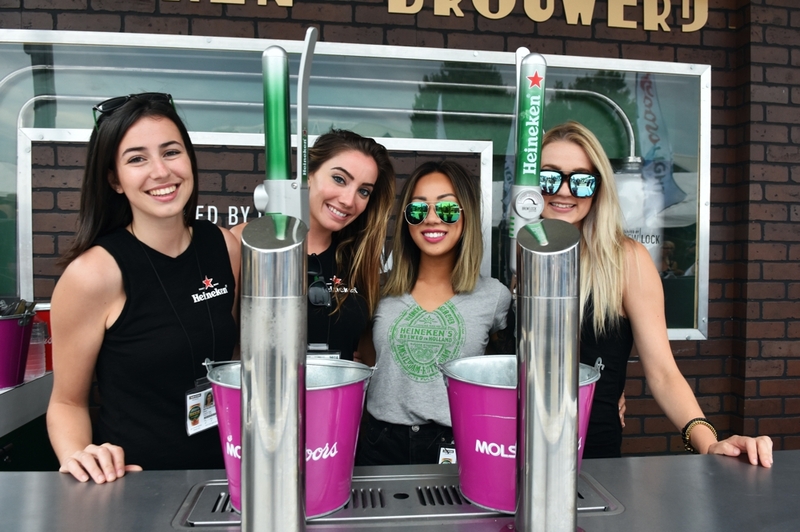 The festival, presented by the Beer Store, will feature a 100,000 square foot pavilion where visitors can explore over 300 of the best beer brands and culinary treats from Canada and around the world along with musical acts from our great country. Sloan is the first of the headline acts to be announced for each day of the festival. Tickets are on sale online now (ages 19+) and there is a reason they sell out in advance - so buy your tickets early. You can also Hoptimize your ticket for an additional $12 to get extra sample tokens and early access. As a warm up to the summer TFOB there is also the May two-four holiday weekend Spring Sessions at Fort York. Taking place May 20-21 where "a hand-picked selection of food purveyors and breweries will set up shop inside Fort York Garrison Common for Toronto’s Festival of Beer Spring Sessions. Expect all the amenities of a cottage in the heart of the city, as this legendary event returns to its roots for a glorious May long weekend celebration of the Golden Beverage! Tickets will go on sale in March 2017, so stay tuned!"